Ethereum has entered into a collaboration with Minds + Machines Group Limited (MMX) to simplify the transfer of ethers and solve issues related to it. The collaboration allows users to sign in to their ether wallet addresses in the .Luxe domain registration. MMX is one of the world’s leading owners and operators of Internet top-level domains . The Company has entered into an exclusive agreement with the Ethereum Name Service to integrate its services with consumer MMX registries. As per the Financial Times report , from October onwards there is a possibility to register a name in the .luxe register, in order to link this with the 40-digit hash identifier of Ethereum Blockchain . This process will enable the users to have a simple .luxe name to remember instead of a complex code. Ether-Wallet receive address: ABC.luxe instead of the 40-digit hash identifier 0x314159265dd8dbb31064. The same process of replacing the 40 character identifiers with user-friendly .luxe names should apply to all Ethereum features: Smart Contracts, Distributed Storage, dApps, etc. Brand owners can assert their trademark rights beginning on August 9th and secure their address, eg adidas.luxe. From the 9th to the 25th of October, there will be another wave of registrations in which the first 300,000 .luxe names will be awarded. For this time, a high “early-access fee” is incurred. From 30.10.2018 the service should be accessible to the general public. It remains to be seen if this service will actually fetch a broad following and if it is going to prevail in the long term. 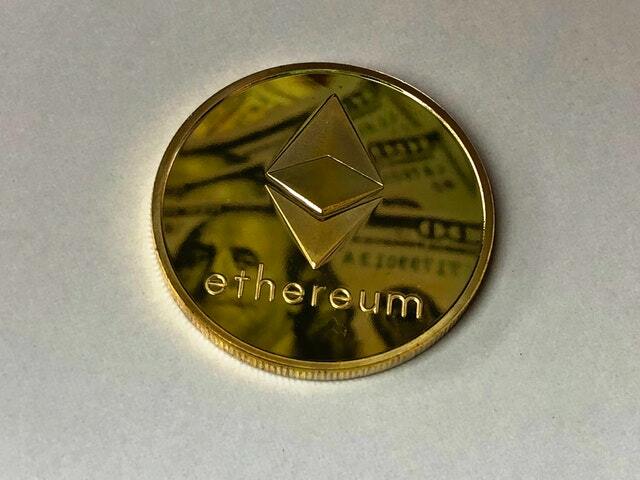 The price of Ethereum suffered a slight setback of -2.82 percent on a price of 350.74 Euro within the last 24 hours. With a market capitalization of just under € 35.47 billion, Ethereum continues to rank second in the world’s largest cryptocurrencies. Previous articleWill That Be the Trigger for The Next Big Bitcoin Bull Run?